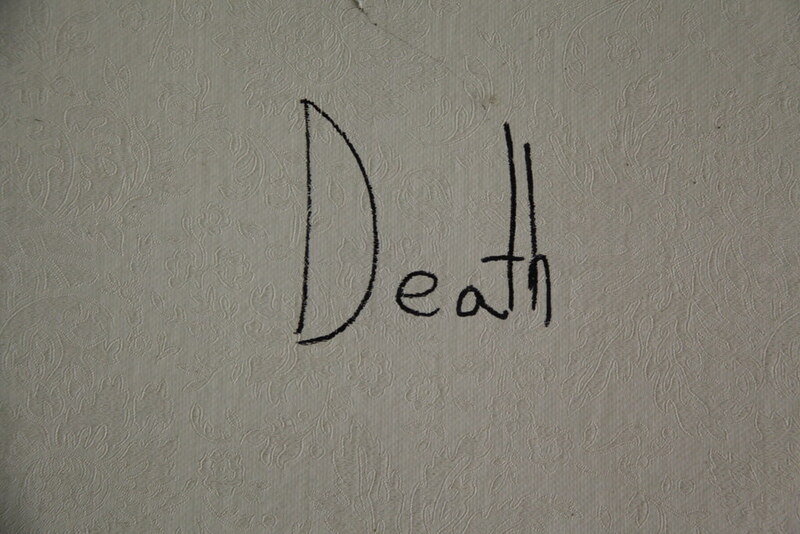 This house featured some very unusual graffiti. Nothing in spray paint, only what appeared to be one group of teens armed with a felt-tipped pen. 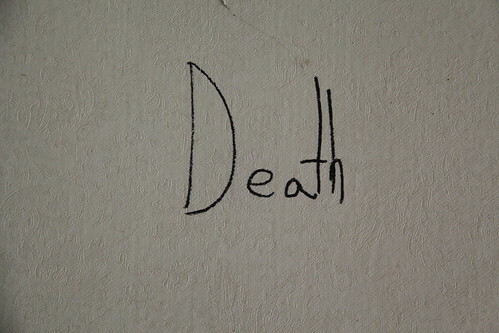 In one of the 2nd floor bedrooms, scrawled on an otherwise blank white wall was this ominous yet oh-so-lame graffiti.